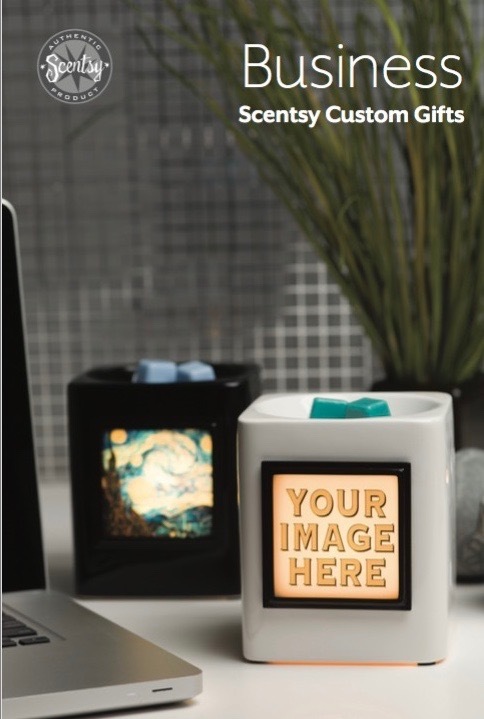 Scentsy Custom Gifts now available in minimum quantities of 12!! Why bother with the same boring business gifts when you can give your customers, employees, or associates something they’ll actually love to use and display? 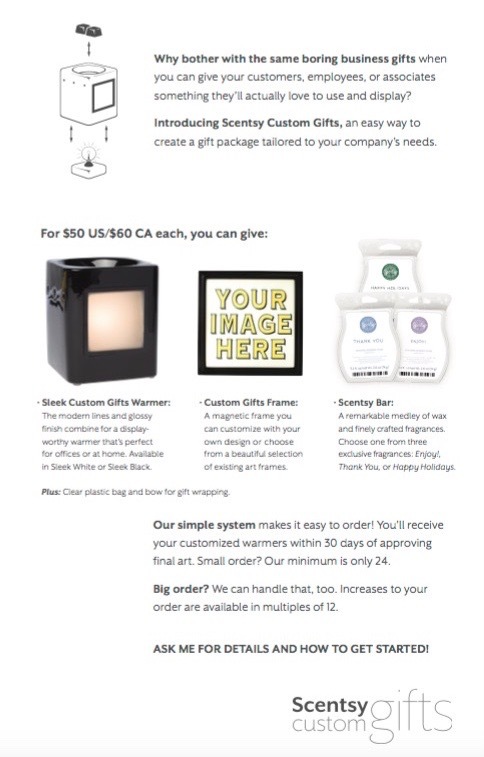 With Scentsy Business Gifts, you can easily create a gift package tailored to your company’s needs. Our simple system makes it easy to order! You’ll receive your customized warmers within 30 days of approving final art. Small order? Our minimum is only 12. ***Updated 12/10/2015! Big order? We can handle that, too. Increases to your order are available in multiples of 12.